Apple Music is a popular streaming service which allows users to stream on-demand music, music videos, and podcasts across all of devices and listen to specially curated playlists or exclusives. For those who already have Apple products, Apple Music is their best option to listen to music daily and integrate personal music in Library. And you can start your free 3-month trial to experience all the features and then decide to continue the subscription or leave for another one. 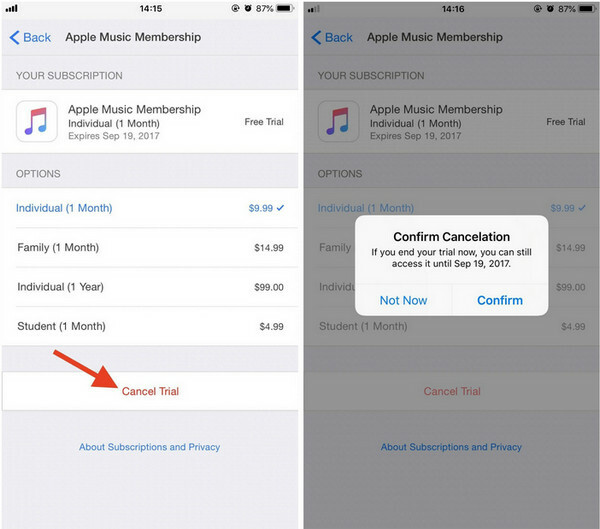 If you find that Apple Music is not for you and manage to cancel the membership (including 3-month trial), you can follow the tutorial below to cancel your Apple Music subscription or free 3 month trial. If you want to have an access to 50 million songs on Apple Music, listen to the music without interruption, or get the perfect playlist with just a tap, you (new user) can start your free 3‑month trial. And here will take iPhone as an example to show you how to get it. Step 1: Open Music app on your iPhone. Step 2: Tap "Try it Now" and select the membership type (individual, family and college student) you want to get. Step 3: After selecting the membership, click on "Start Free 3 Months" to start activating the subscription. Step 4: A new page will pop up to ask you to log in Apple ID, then input your password or Touch ID. 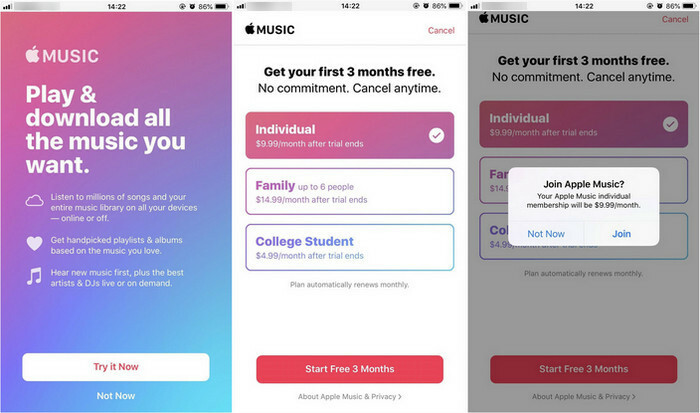 With these simple steps completed, now you get Apple Music 3-month trial and you can play Apple Music songs without limitation and enjoy more wonderful features. 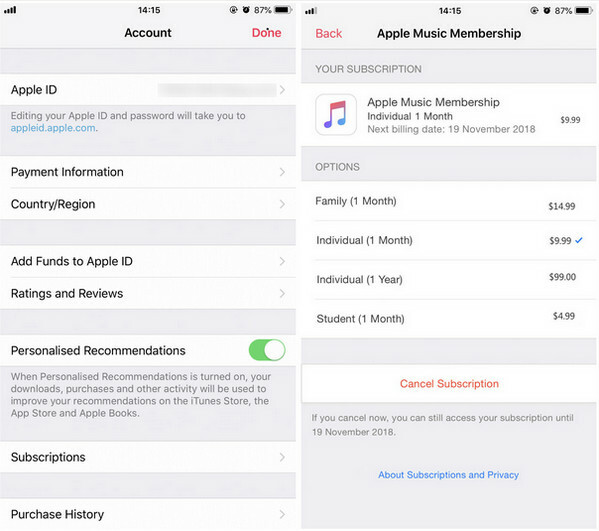 As Apple requires binding a valid payment method associated with your Apple account to enable the 3-month trial, your subscription are already set to automatically renew after the trial ends. If you do not want to be charged after the trial ends, you can learn how to turn off the automatic renewal below. Step 1: Tap on For You tab on the Music app, then tap on the account icon at the upper-right corner. Step 2: Select "View Apple ID". You will need to input your password or Touch ID. Step 3: On the Account Settings page, tap on "Subscriptions". The Apple Music Membership page will be shown subsequently. Step 4: Tap on "Cancel Trial" at the bottom, and "Confirm". Then the automatic subscription was canceled successfully, and you are still allowed to use Apple Music until the expiration day. Though Apple Music is a great service and a lot of people use it, you have tried it but you do not like it, and you manage to cancel the subscription. 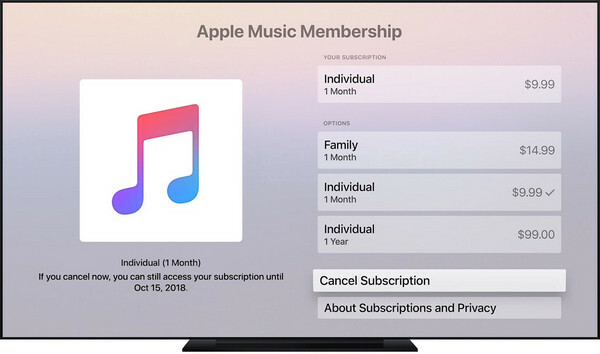 So let's learn how to cancel Apple Music subscription using the devices including iPhone, iPad, iPod touch, iTunes on Mac or PC, Apple TV, and Android devices. 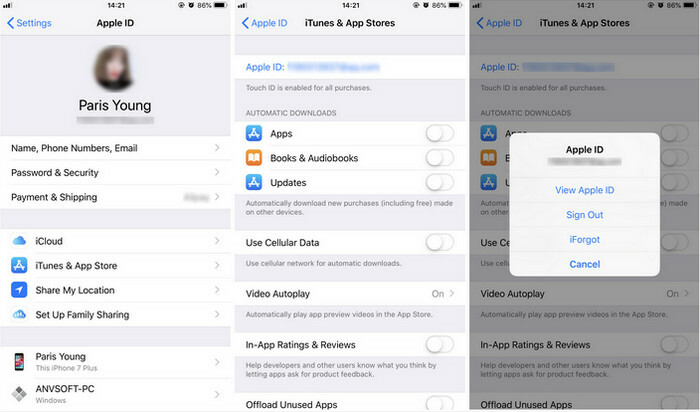 Step 1: Go to Settings > User name > iTunes & App Store. Then tap on your Apple ID at the top of the screen, then tap "View Apple ID". You might need to input password or Touch ID. Step 2: Scroll to "Subscriptions", then tap it. Tap your "Apple Music Subscription". Step 3: Tap "Cancel Subscription", and tap "Confirm". Your subscription will stop at the end of the current billing cycle. Step 1: Open Apple Music app on Android phone or tablet, then tap Apple Music menu icon at the upper left corner. Step 2: Tap on "Settings". You might need to sign in with Apple ID. Step 3: Tap on "Account Setting" > "Manage Membership". Step 4: Turn off "Automatic Renewal", then tap "Turn Off" on the screen. Your subscription will stop at the end of the current billing cycle. Step 1: Open iTunes on Mac or PC, then choose Account > View My Account from the menu bar at the top of your computer screen or at the top of the iTunes window. Step 2: Scroll to the "Setting" section on the account Information page. Click "Manage" to the right of Subscriptions. Step 3: Click "Edit" to the right of your Apple Music subscription. 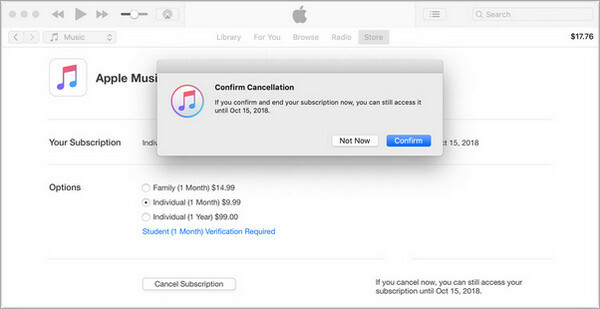 Step 4: Click "Cancel Subscription", and click "Confirm" to cancel your Apple Music subscription. Step 1: Open "Settings" on Apple TV and select "Account". Step 2: Select "Manage Subscriptions" under Subscriptions. Step 3: Choose your Apple Music subscription and click "Cancel Subscription". 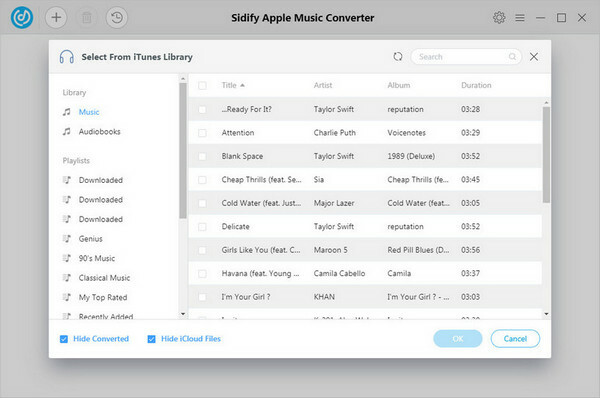 You won't be able to stream your previously purchased and uploaded music to your devices, and any songs from your Mac's library that you've downloaded to other devices will be removed. "I decided to cancel my Apple Music and I assumed that my playlists would just stay in my library and that I just would not be able to listen to any of the music. but once my subscription ended, all my playists were gone. Is there a way I can get them back or view them without having to subscribe again?" Because Apple Music is a streaming service which applies DRM protection to all Apple Music tracks to protect their intellectual property being spread arbitrarily, then you will lose the access to all the music you added to Library, even though you have already downloaded them. 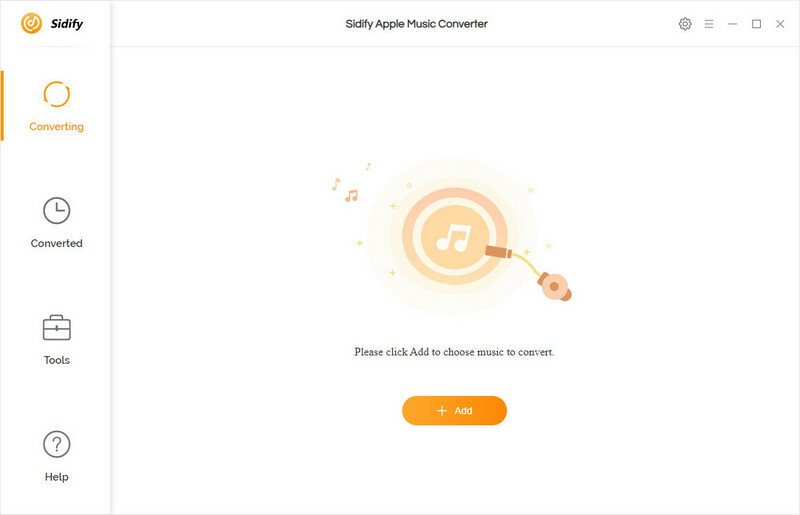 So if you want to keep the Apple Music playable and save the downloaded Apple Music songs forever on your devices, the best solution is using Sidify Apple Music Converter to remove DRM protection from Apple Music and convert Apple Music songs to unprotected MP3, AAC, WAV, or FLAC format. Now let's learn how to keep Apple Music songs forever after canceling the subscription. 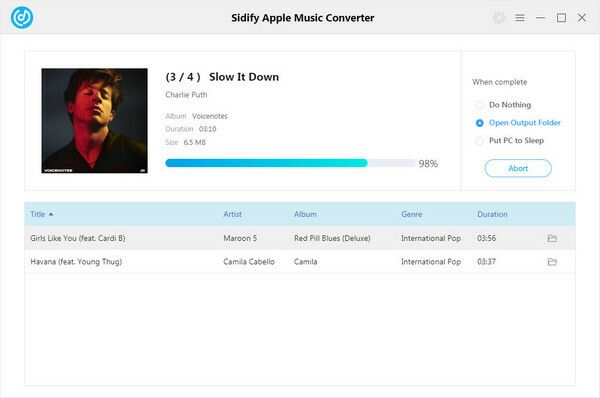 Firstly, download and install Sidify Apple Music Converter on Mac or PC, then launch this Apple Music Converter. Click on + icon at the upper left corner of the main screen. To the iTunes Library page, you can click on "Music" tab and select the tracks you want to convert from the list. Then click on "OK" to check the Apple Music songs you added. Click on button at the upper right of the program screen. To the Preference page, you can choose the Output Format as MP3, AAC, WAV or FLAC, the Output Quality and Output Folder. Tips: You can save the output audio into organized folder like Artist, Album, Artist/Album, or Album/Artist. 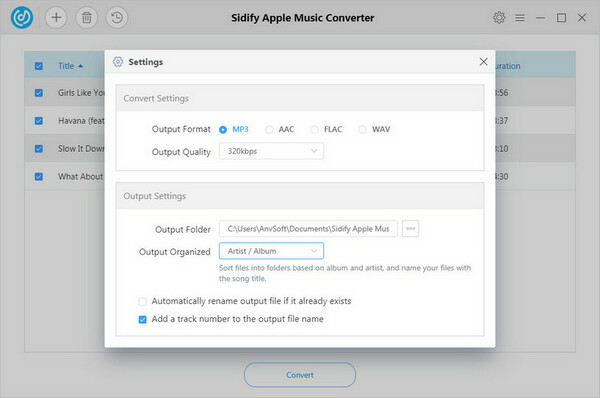 Click on "CONVERT" button to start converting Apple Music songs to unprotected output format you chosen. After the conversion completed, you can click icon to find the well converted Apple Music songs. Then you can keep them on your computer, or transfer the music to your MP3 player, mobile phone for listening to music on the go, or to USB drive for enjoying in the car. How to Remove DRM from Apple Music Songs? 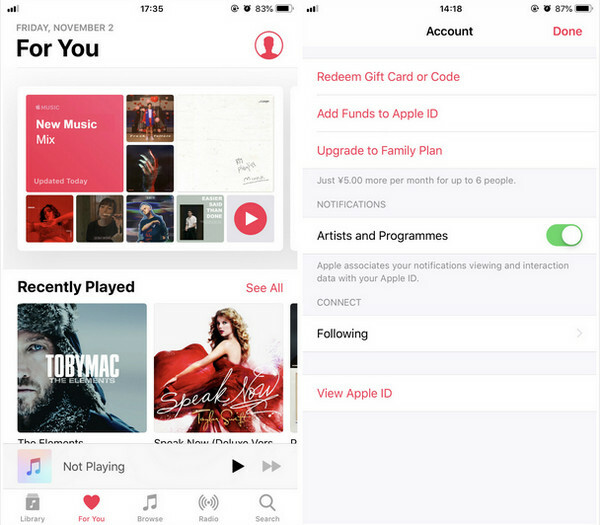 How to Listen to Apple Music after Cancelling Apple Music Subscription?